The success of Cosworth’s AliveDrive platform allows us to expand our technology, and offer a complete solution to the ADAS and autonomous vehicles industry. Cosworth Vision Systems combines specialist video, LiDAR sensors and vision processing modules. 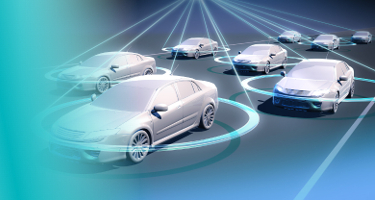 Developed with our network of technology partners, we offer the tools to build automotive vision solutions using multiple sensor types, benchmarking the performance of individual components and adjusting the reliance on specific sensors as environmental conditions vary. Intelligent vehicles struggle to see in poorly lit or dark conditions, and to adapt their driving to changing weather conditions. With Cosworth Vision Systems, manufacturers can be sure their autonomous or ADAS vehicle will have the best picture of their environment, helping the intelligent vehicle to make the best decision possible. Our video cameras are high definition (1080p) automotive grade with configurable High Dynamic Range (HDR). Designed to be plug and play with nVidia’s Drive PX Autonomous Vehicle platform, they provide exceptional image clarity in all light conditions and have been designed to be fitted to vehicles within minutes; control modules are miniaturised and ruggedised. Solid-state LiDAR technology employs cost-effective laser metrics and detectors that can deliver very high refresh rates, with short and long-range variants (200m) all software configurable. High resolution GPS receivers and Inertial Measurement Units enable the vehicle to identify precisely where it is. Autonomous technology transcends the automotive industry, and experts from various fields are beginning to collaborate to prepare for an autonomous future. This has led to our involvement in a UK consortium looking at the development of a Multi-Car Collision Avoidance (MuCCA) system, taking Cosworth’s know-how and expertise into ground-breaking new territory. Led by automotive services provider Applus+ IDIADA and also involving Cranfield University, Westfield Sports, Secured by Design and the Transport Systems Catapult, the consortium has been awarded UK government funding towards the development and trial of technologies that could radically reduce multi-car collisions on motorways. We are deploying our vision and data logging technologies in the MuCCA project, using high quality cameras and LiDAR technology. Artificial intelligence and vehicle-to-vehicle communications will enable autonomous to make co-operative decisions to avoid potential incidents in motorway environments.